Many of my posts on this blog are reviews of spas! 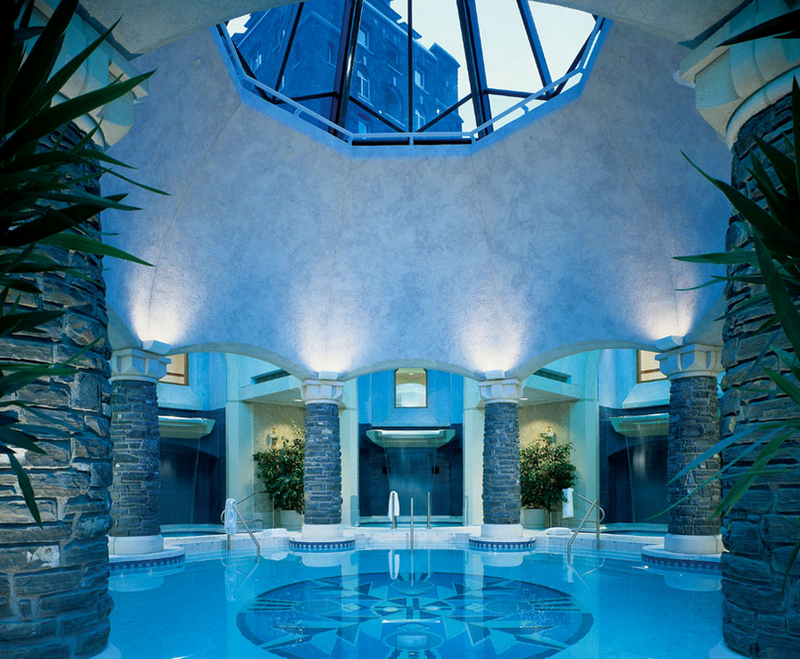 I love rewarding myself with a trip to the spa and couldn’t resist booking some time at the Fairmont Banff Springs’ Willow Stream Spa. I went all out for this trip, booking a signature service for the evening of our arrival – the Ultimate Accent! I arrived an hour early to enjoy the water therapies and they were one of the best I had ever experienced. There are several pools of different temperatures and of course there is an outdoor hot tub right outside next to the mountains. I spent a good 30 minutes relaxing and settling in to the first day of my vacation. When it was time for my service I went up to the sitting area to meet my therapist. Now while waiting I opened my iPad to read and mistakenly opened my email and started reading some notes. Well there was one from a client about a potential problem that sent my mind off in to thinking mode – bye bye relaxation. My service started with a warm foot soak and scrub before moving to the table from a dry brushing followed up by a massage. Now I found the brushing a little aggressive but I didn’t say anything so that is my fault. I left the spa all soft and smooth with my new body brush. One bit of advice, if you are congested or suffer from allergies and it is allergy season don’t sign up for a service where you will be on your stomach for over an hour. Added to my work stress was the worry of my runny nose!